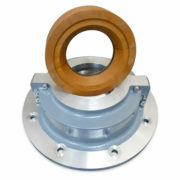 APCO Bulkhead Seals Provide a means of emergency sealing of a water tight bulkhead in the event of either side flooding. 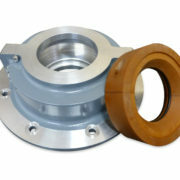 They are fully split, lightweight and DNV certified. 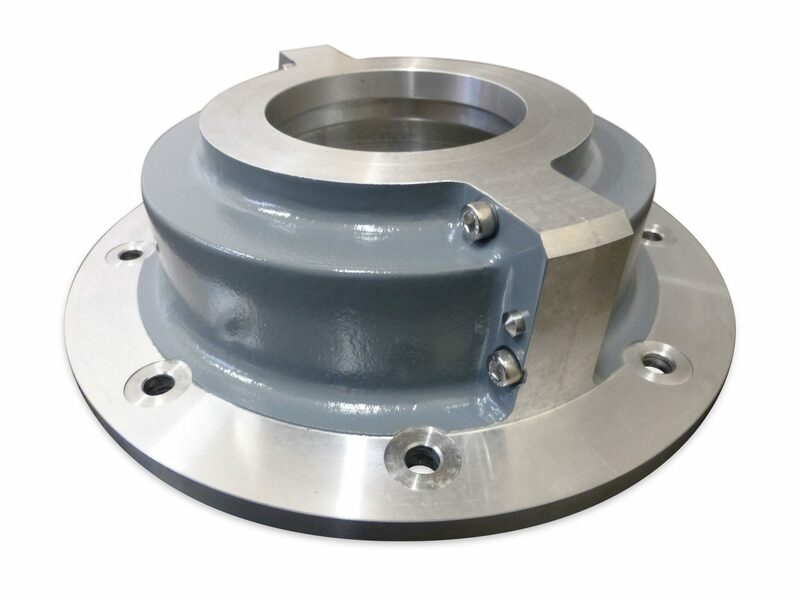 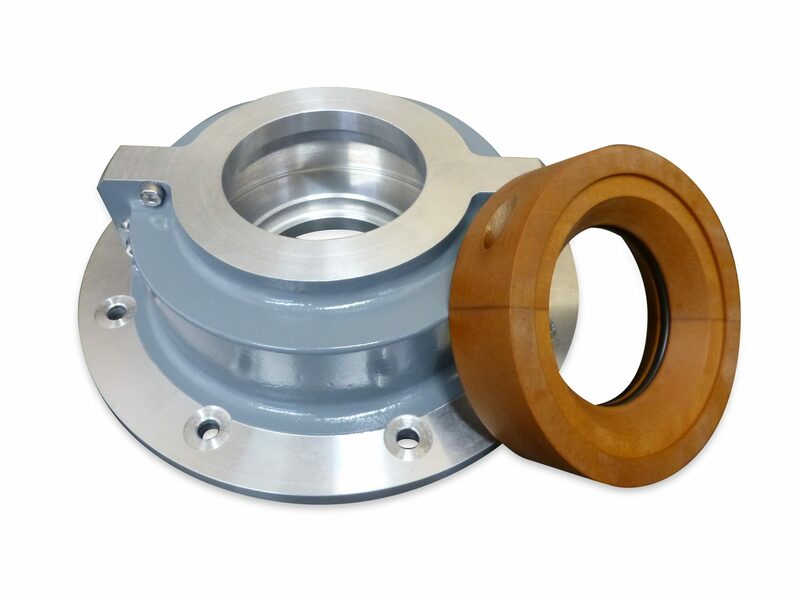 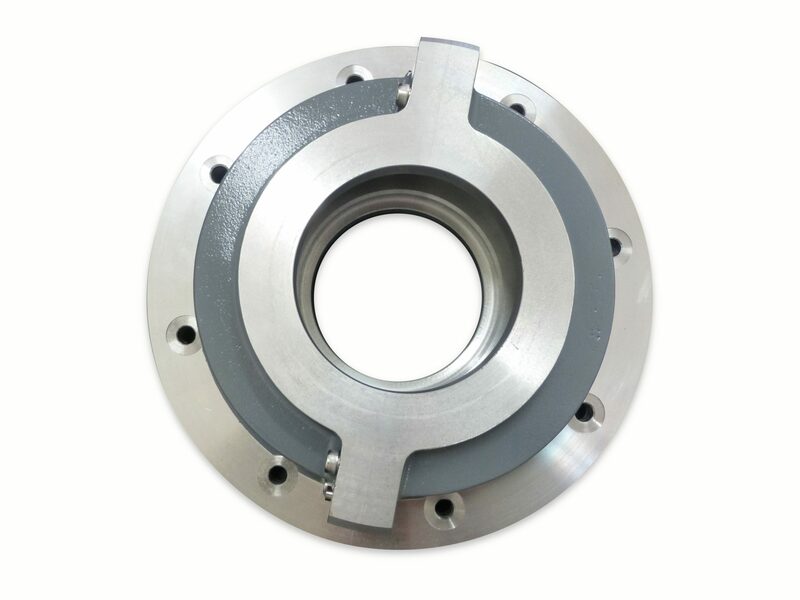 The bulkhead seal consists of an outer cast aluminum housing and an inner seal manufactured from Novasteen (cloth reinforced phenolic resin). 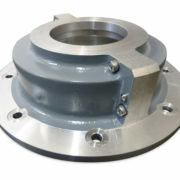 The outer housing is fastened to the bulkhead. 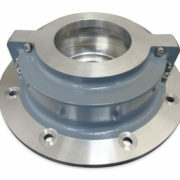 An o-ring between the shaft and the inner seal provides a watertight connection and a means of driving the inner seal whilst allowing for axial movement. 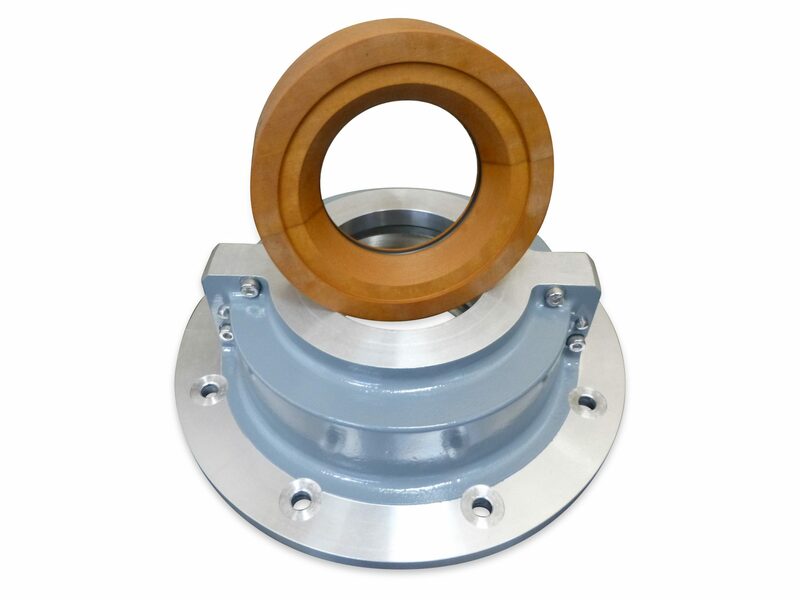 In normal operation the inner rotates with the shaft and has running clearance in the housing. 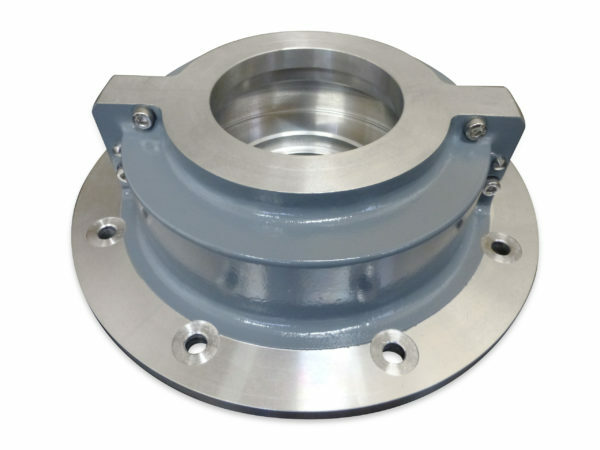 In the event of a compartment either side of the seal flooding the water pressure pushes the inner seal axially until it forms a face seal with the outer housing, effectively sealing the compartment. 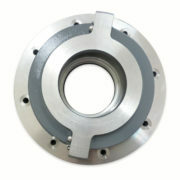 The design allows for both axial and radial movement.